From time immemorial Russian people drank Ivan Tea. It was believed to have healing, strengthening properties. But not only was the tea beneficial for the health, it also tasted extremely good and was found in every house. 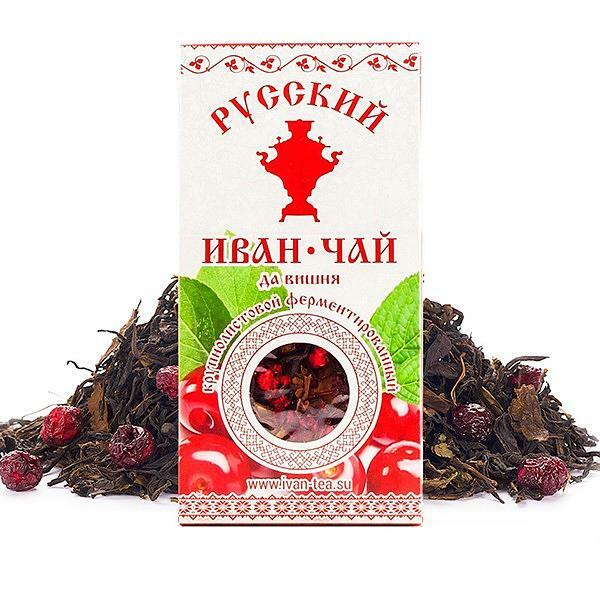 Ivan tea contains no caffeine, so it is a very healthy alternative for tea, especially for children. It enhances immunity, calms the nervous system, restores strength, eliminates headaches, provides anti-inflammatory action. Cherry has anti-inflammatory, diuretic properties. It is good to take with colds. It is an excellent expectorant and tanning agent. The "Ivan Tea with Dried Cherries" It is so yummy is packed full of antioxidants. It is very good for you. I truly love this tea company!